The Winter Solstice by Ellen Jackson, illustrated by Jan Davey Ellis. This book explains how the winter solstice is celebrated in different parts of the world, and during different eras of history. It presents facts and folklore about the shortest day of the year. The Shortest Day by Wendy Pfeffer, illustrated by Jesse Reisch. This book describes how and why daylight grows shorter as winter approaches, the effect of shorter days on animals and people, and how the winter solstice has been celebrated throughout history. Includes solstice facts, instructions for making a winter sunrise/sunset chart, how to measure shadows on the shortest day, experiment to show how the tilt of the earth makes the seasons and fun party ideas. 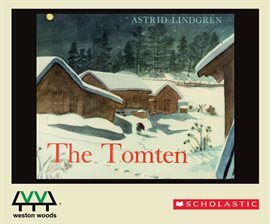 A lovely story of a cold winter night when the resident farm Tomten says goodnight to all of the farm animals and they all think of the summer to come. Artic Lights, Artic Nights by Debbie Miller. Imagine a land where the sun rises at 1:58 a.m. in the summer and shines for less than four hours on a winter’s day. The animals in the wilderness near Fairbanks, Alaska, witness some of the world’s greatest temperature extremes and light variations ever year. At an average low of -16 degrees Fahrenheit, the winters may be unpleasantly frigid, but the light shows are always glorious! With Todd Parr’s colorful illustrations and simple text, The Earth Book includes easy ideas for working together to take good care of the earth, from planting a tree and using both sides of the paper to saving energy and reusing old things in new ways. As the round hole through the pages of this book grows larger, children will enjoy guessing the identity of the object that’s round like a ball, hot and cold, every color, always moving, and home to us all. Lisa Campbell Ernst has written and illustrated a colorful and fun introductory book to science and our earth. Two young families in two very different parts of the world each plant a tree. As the trees flourish, so do the families. The eye-catching illustrations show how trees help clean the air, enrich the soil, and give fruit and shade. I used a flannel board with this book during storytime and the preschoolers really enjoyed adding felt flowers, leaves and fruit to the tree. The preschoolers enjoyed this simple and fun story about a little boy and his grandma gardening; beginning with deciding what to plant all the way to eating what was planted during a year of gardening from tilling the soil to harvest time. The Earth and I is beautifully illustrated with vibrant rainbow colors and tells the tale of the adventures of a child in nature as he rides the back of a tortoise, plants vegetables, sings with the birds, and dances in the wind. Learning about all the colorful animals, insects, and plants in a rainforest make for a fun storytime theme! The children really enjoyed The Frog With the Big Mouth by Teresa Bateman. It’s a humorous tale about a little Argentine wide mouthed frog that goes around the rainforest to brag about his fly-eating abilities. At the end of the book there are notes about the Toco Toucans, Coatis, Capybaras, Jaguars and Argentine wide-mouthed frogs, also known as Argentine horned frogs. The Parrot Tico Tango by Anna Witte is a wonderful cumulative rhyme in which a greedy parrot snatches delicious fruit from his animal friends in the rainforest until he can hold no more. I used the book Rain Forests by Nancy Smiler Levison with a flannel board activity for the preschoolers. I handed out animals, insects and plants mentioned in the book and read the pages about the four layers of the rainforest: emergent, canopy, understory and the forest floor. As I read about each layer, I invited the children to put the corresponding trees, plants, and animals on the flannel board. The preschoolers really enjoyed learning about the animals in each layer and helping to create a rainforest. rainforest "rain forest" "The Frog with the Big Mouth"
Worms. Can You Dig It? A general discussion could be held about how hats keep heat in our bodies or how hats provide shade. Note 1: Twelve Hats for Lena lends itself to a discussion of seasons and the calendar year. Note 2: This Is Not My Hat easily sparks a discussion of predators, prey and the food chain.